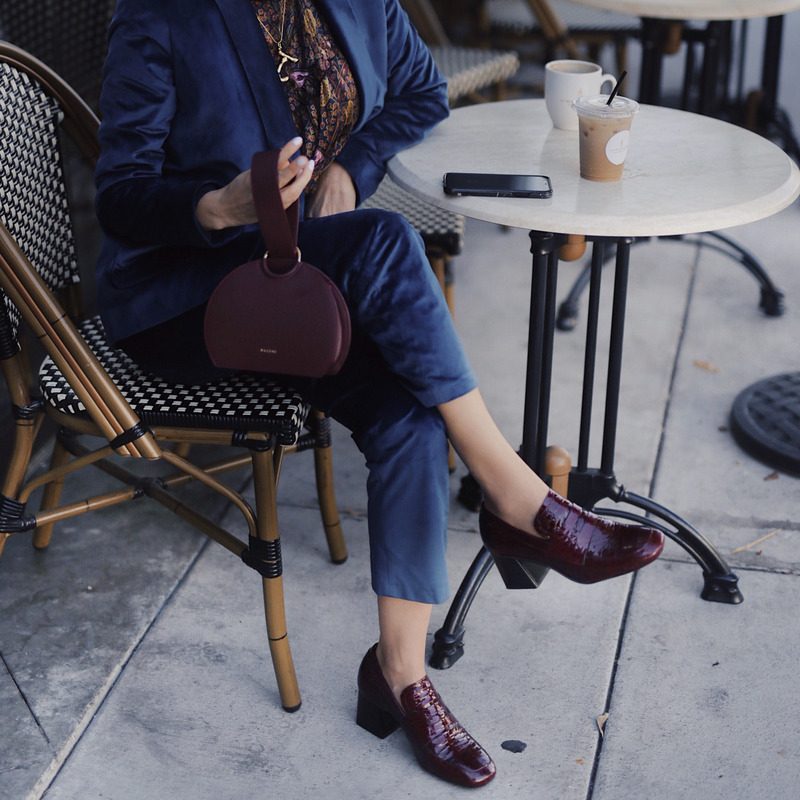 I have selected my 5 best Fall Winter 2018 shoes and boots that I am wearing now on repeat! Discover these 5 trends: combat boots, western boots, loose boots, animal print shoes, dad sneakers. Combat boots are definitely on the rise. Within the combat boot trend, you can choose between two styles: the grunge type (90’s vibes) or the sherpa boots (on point to walk on pavements covered with snow ;)). 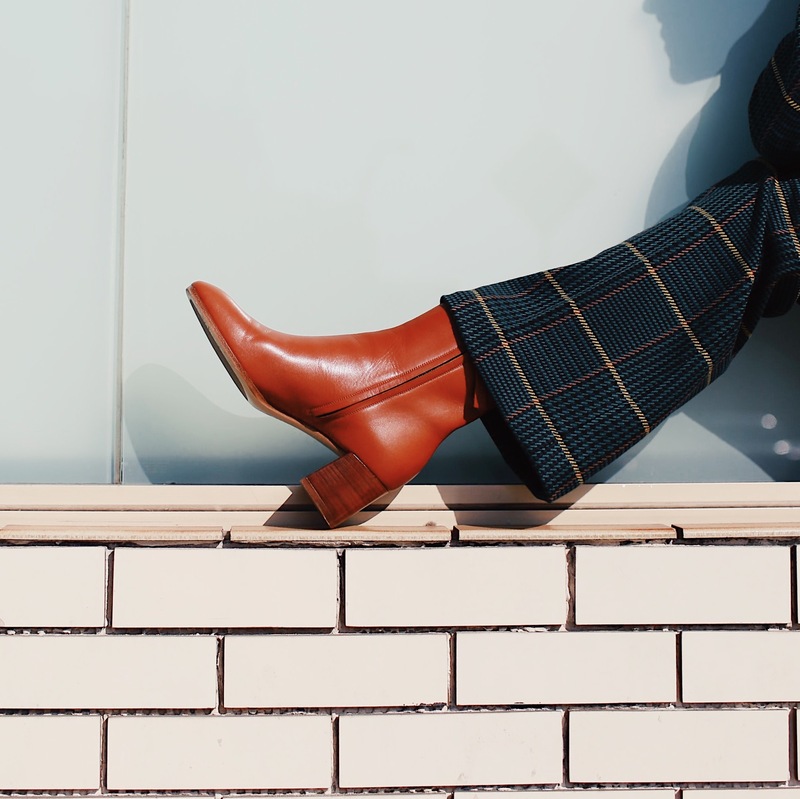 The cowboy boots have been rising on fashion runways for a while (Calvin Klein and Coach for Spring 2018, Zimmermann and Isabel Marant for Winter 2019, etc.). The trend is to wear your boots in a graphic white or black or with snake prints. Fun and bold colors are also trendy this season. For styling, try pairing them with straight jeans, or a long dress. For more western boot trends read this article. This season, fashion labels (Isabel Marant, Halston, Iro, etc.) 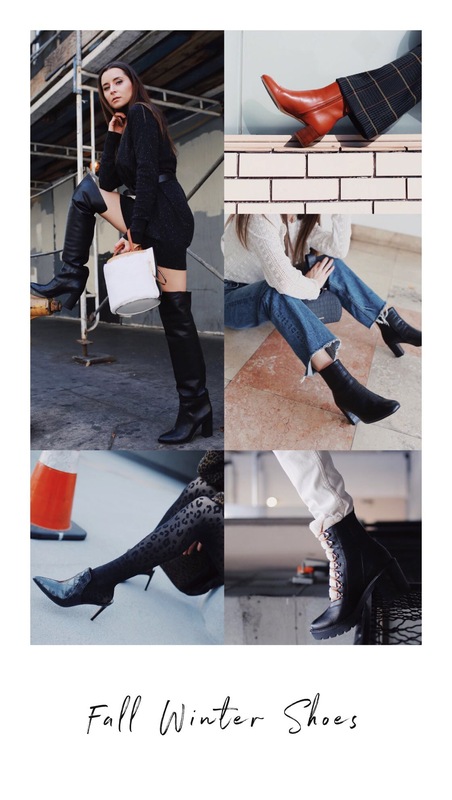 suggest wearing loose “over the knee boots” or “knee-high” boots. It will give an edgy look to any of your outfits. Also, this trend is flattering as it makes your calves thinner. Animal print is huge this season. Actually, three trends are emerging within the animal print mania: embossed crocodile, leopard print and snake print. Read this article for more inspiration on how to wear the snake print boots. The Dad sneakers craze is inspired by the 90’s with a chunky, thick sole. These “ugly” sneakers are taking over the fashion industry. 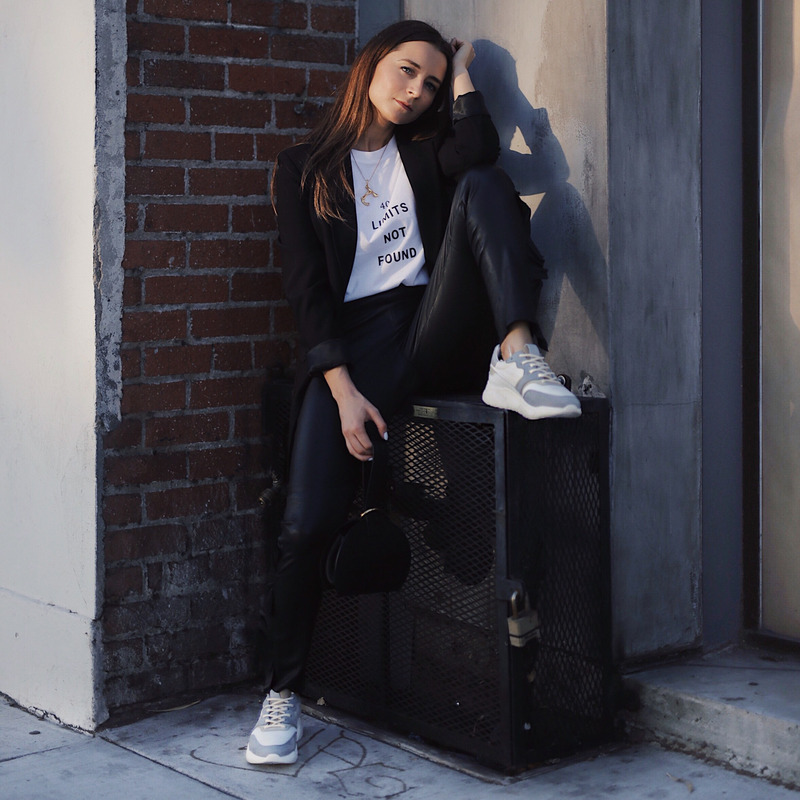 It girls and major luxury houses (Givenchy, Balenciaga, Chloe, Louis Vuitton) have already adopted these sneakers as a wardrobe staple. If all these trends are too bold, the minimal ankle boots will be the right fit. These boots are perfect to wear season over a season for work or going out. Very versatile, they go well with a suit, denim jeans, a long skirt or a dress. This is a great Fall boot guide! I am loving leopard boots right now too! All of these boots are so cute and perfect for Fall! I am obsessing over these M.Gemi boots! I love how comprehensive this guide is. You’ve literally hit all of the bases! 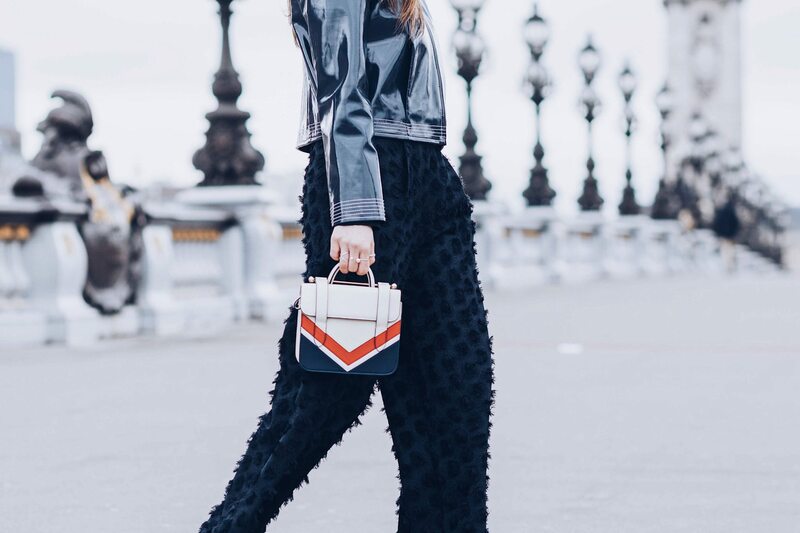 Animal prints are definitely making a big comeback. Also, vintage boots and shoes are too. The red boot with the plaid pants resonates with me so much. Thanks for such hard work pulling this together! Boots are the best part of Fall!!! I love them all. Gosh, can I just have one of each, please and thanks? They’re all so fabulously chic for autumn! I can’t wait to see more of your cooler weather styles. You’re always looking on point! All of these boots are amazing!! It’s hard to pick a favorite for sure! Yes to all these shoe styles! I love combat boots when it gets colder! Great round up! I love sneaker and combat boot trend. I have been looking for the right pair of western for awhile, Love your options! So many awesome trends you showcased! Love the variety of colors and prints! I love the pointed toe booties, they’re so pretty! Such fun trends! I love boots and of all the trends, snake print boots are my favorite. I got a pair early on this season and keep wearing them.